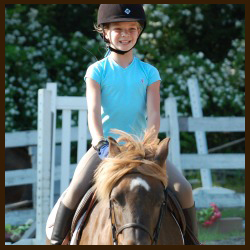 Someday Stables offers one-on-one private instruction for all levels of riders at our Northern New Jersey stable. We emphasize a solid foundation in order to help our NJ hunter/jumper riders advance and achieve their goals. Not only do we bring years of experience to our NJ riders, we also offer some of the highest quality school horses in the area. We pride ourselves on our horses because they truly impact each riders experience. Whether you are the parent of a child looking to take her first horseback riding lesson or you are a junior rider already competing in the top levels of the sport, our program will suit all your needs. Taking your first horseback riding lesson is an exciting experience. You can always rest assured that our kind beginner horses and ponies are safe and trustworthy. Over the years we’ve found that there are several tips and tricks that we can provide you with prior to arriving. Arriving 10-15 minutes early to meet your horse and to complete your release form. Dressing in long pants and flat soled shoes that have a heel. Visiting our stable online and learning more about our facility and our horses. If you have any questions before arriving relating to anything, please don’t hesitate to reach out. We want your first horseback riding experience to be one you’ll remember forever. If you are not progressing at your current barn and are looking to take your riding to the next level, our trainers can help you achieve your riding goals. We customize plans for each rider based on what they want to work on and what they wish to achieve in their riding. Someday Stables has helped countless riders reach new horseback riding milestones. Whether you are looking to start horse showing in the beginner divisions or you are looking to qualify for Devon, our program can help you formulate a plan to get the most out of competing in this sport. 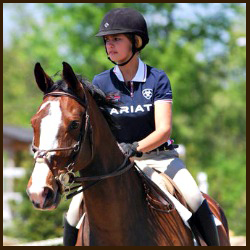 We are focused on helping our competitive riders achieve their goals through personalized lessons and training. We’ve found that in northern NJ there are many hunter/jumper horseback riding enthusiasts and many who are trying to learn. We’ve developed several packages to meet the needs of everyone.